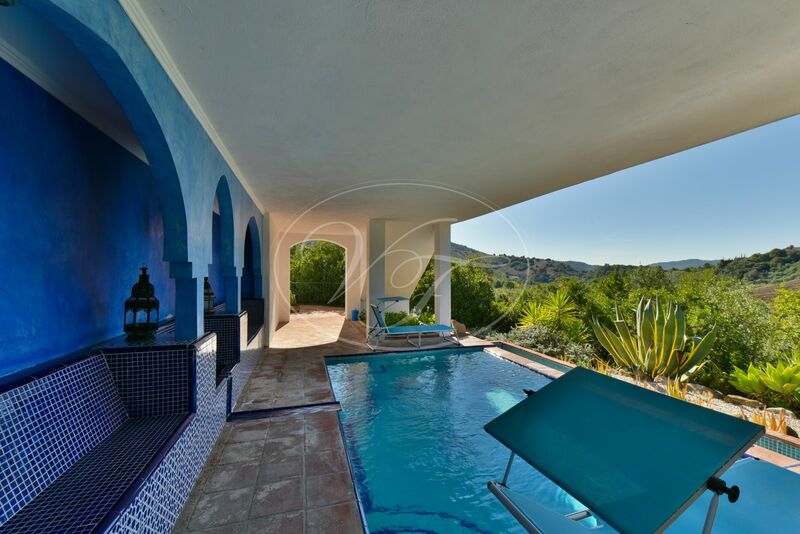 Luxury Country villa for sale in Gaucin, Andalusia, Spain. 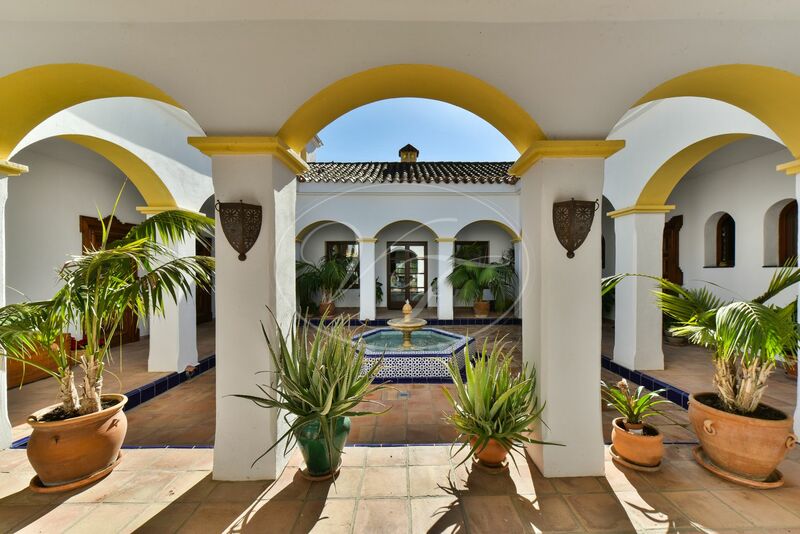 The villa is built in Cortijo style. 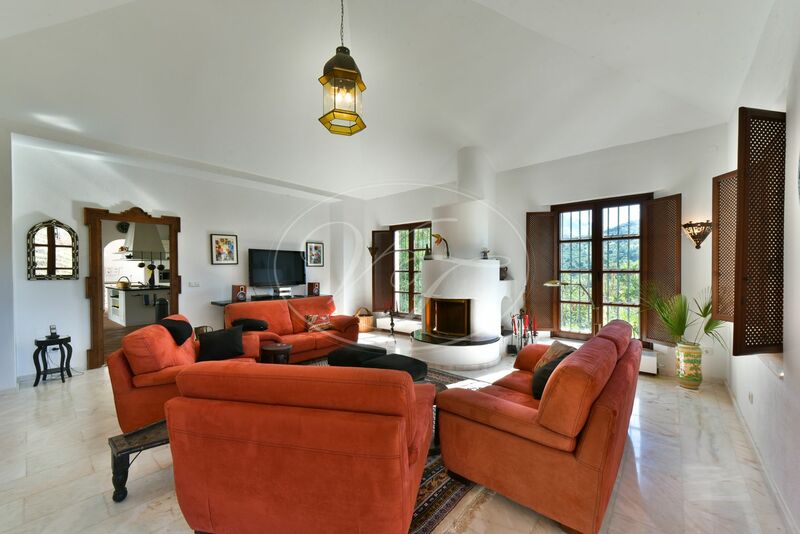 This country property is beautifully located in nature, near the Genal river and close to the town Gaucin. 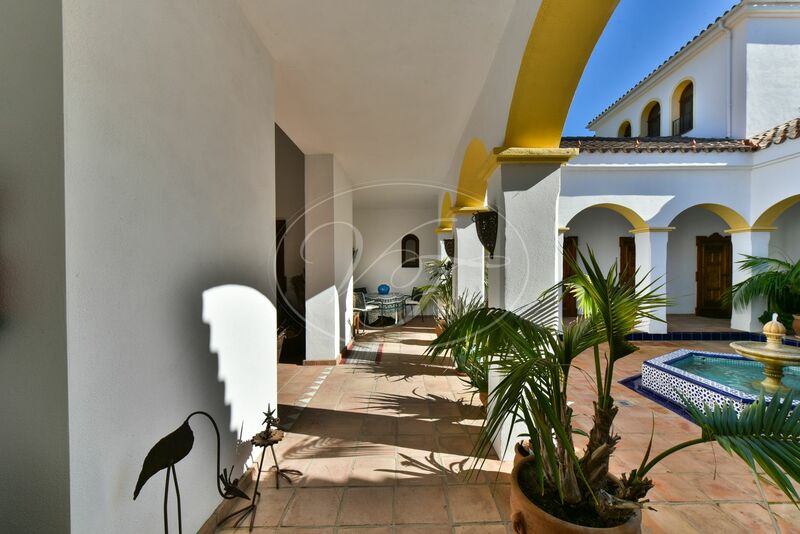 This Cortijo styled country property was built in 2007 to a high standard. 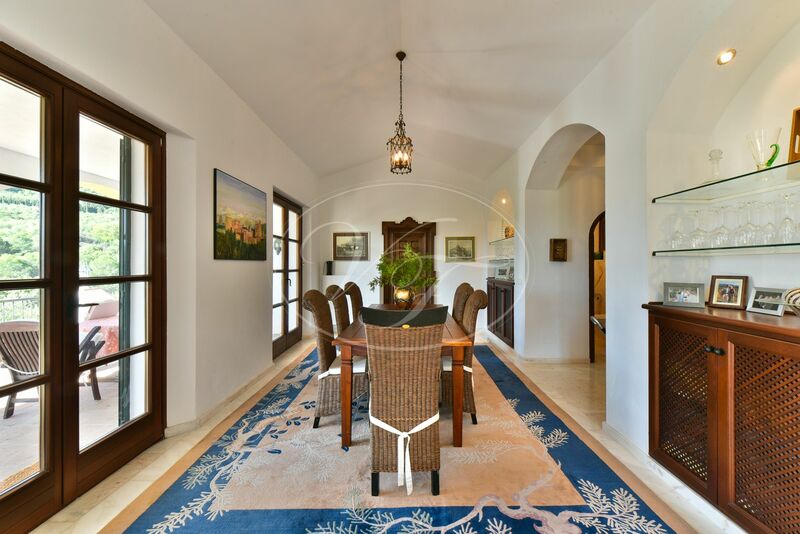 It consists of a very spacious one bedroom main house, a 1,5 bedroom fully fitted apartment, another 1 bedroom fully fitted apartment and an independent office or extra bedroom. 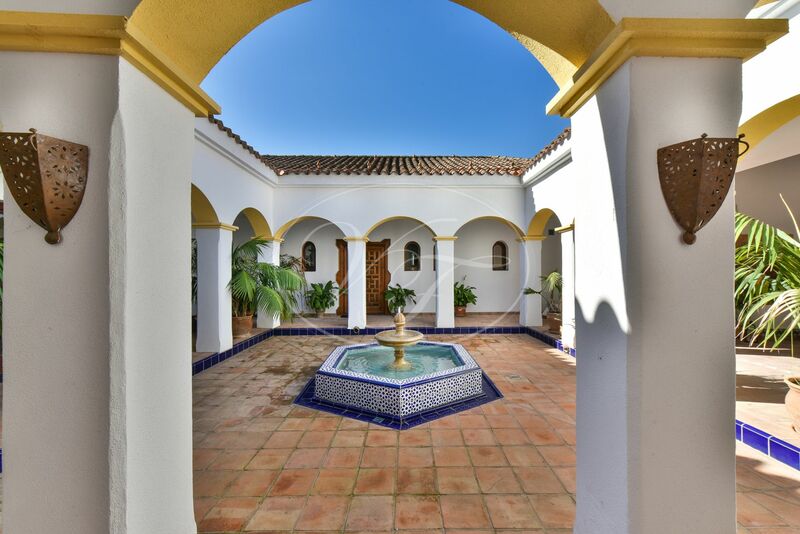 All accommodation can be accessed through a lovely central courtyard with fountain. 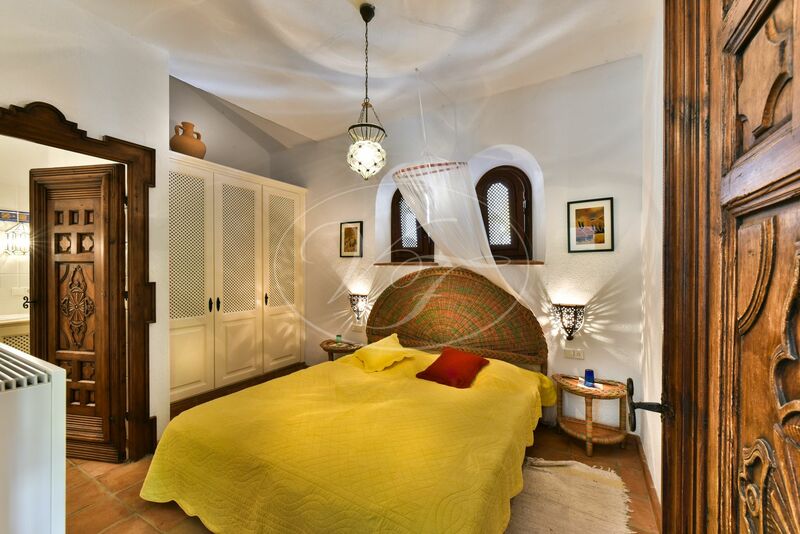 Throughout the property, you will find many authentic Andalusian and Moorish details. 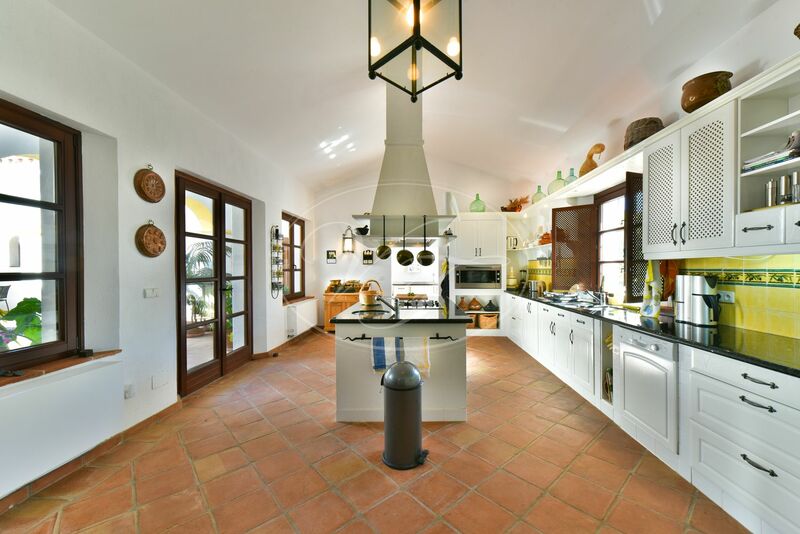 The house has a very pleasant ambience and is an ideal property for country lovers. 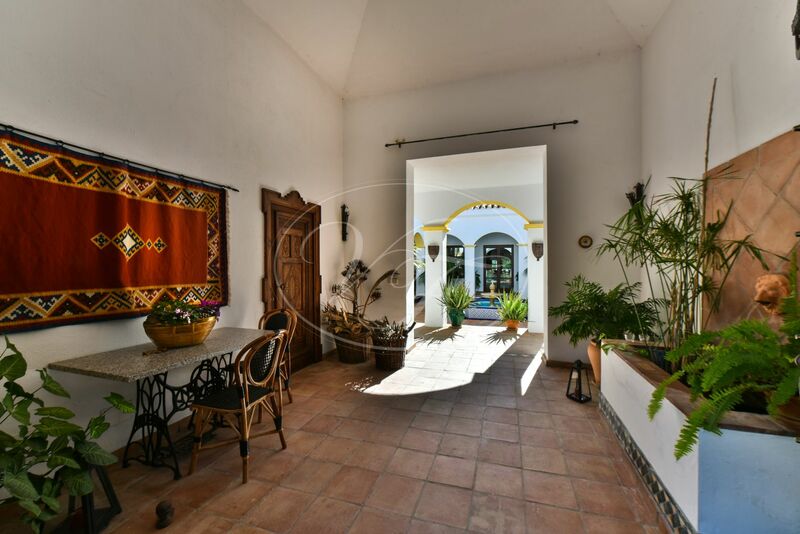 The main house (156m2) has a spacious entrance hall, a large kitchen with separate utility room, that forms the centre of the Cortijo, a spacious living and dining room and a large master bedroom with dressing and bathroom, all on the same floor. 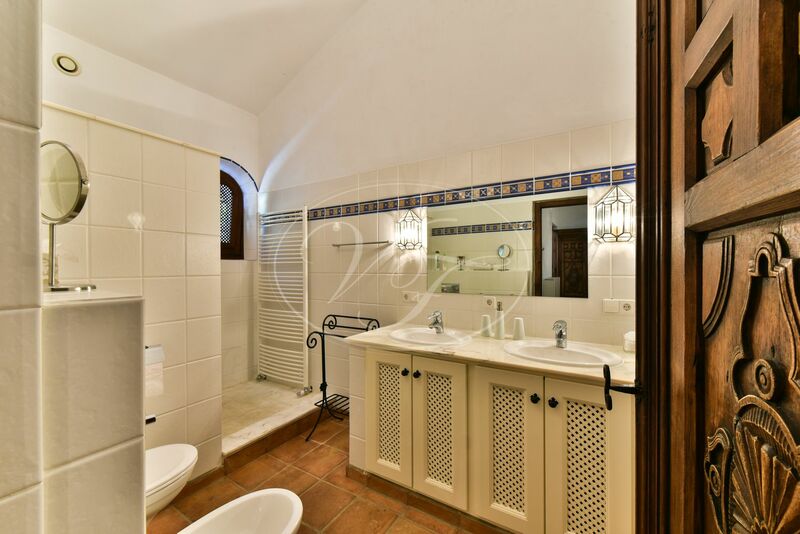 A guest toilet is located in the entrance hall. 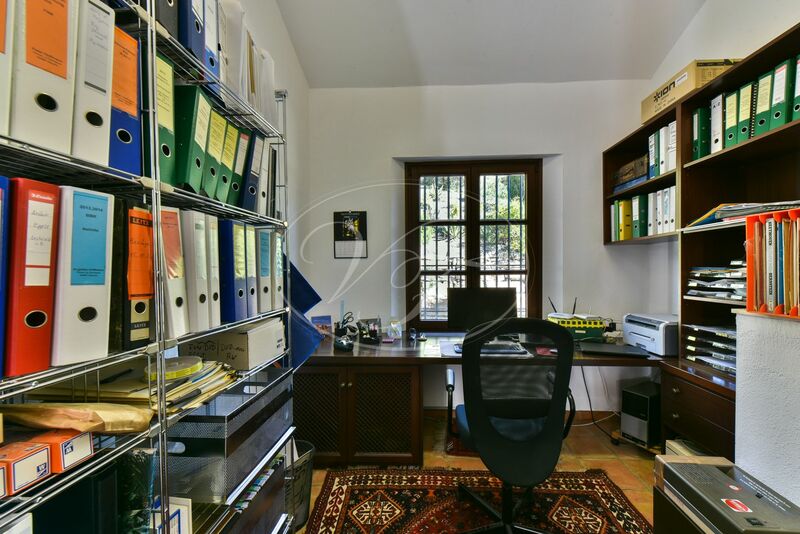 The office is accessed through the courtyard. 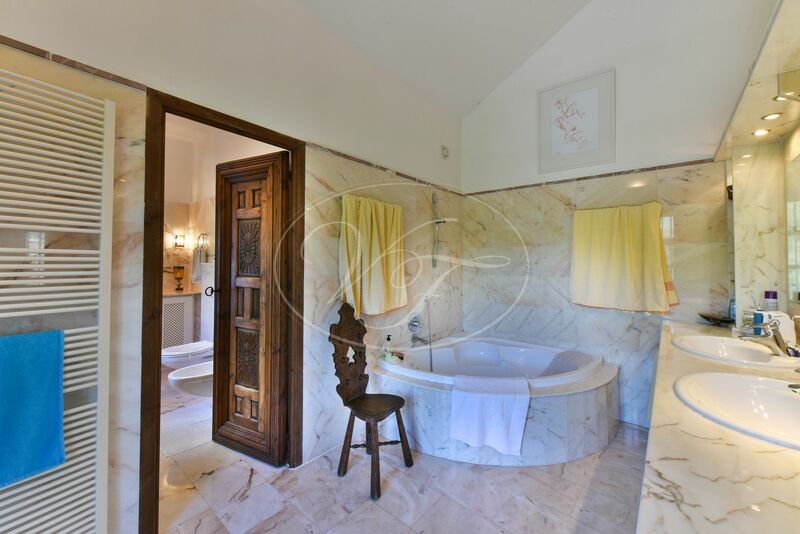 The bedroom tower apartment (98m2) has a large living with open kitchen on the ground floor. 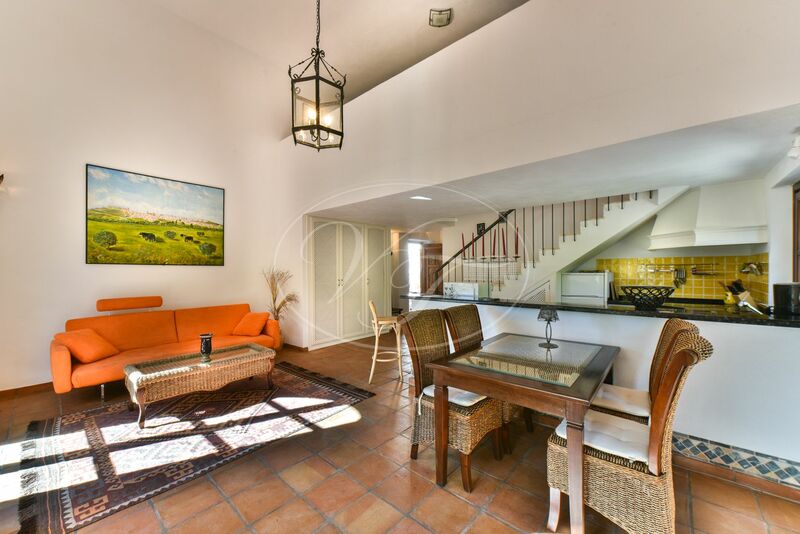 Steps lead up to a spacious mezzanine that could be used as a bedroom. Further steps up lead to a spacious bedroom with bathroom. 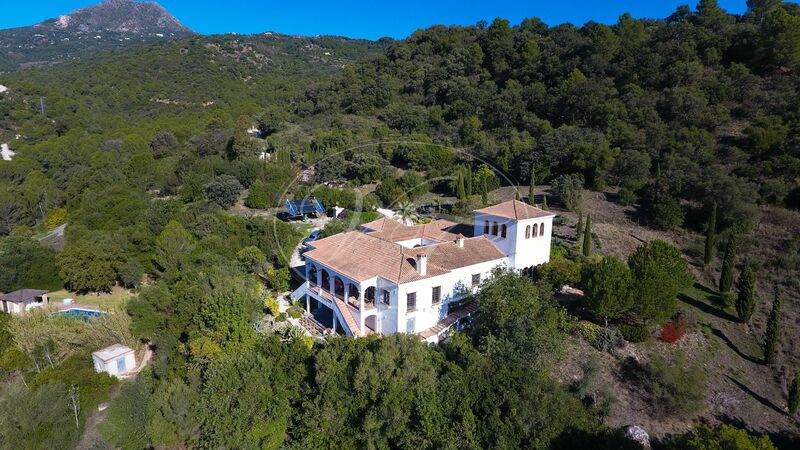 From here, you have spectacular views over the surrounding nature. 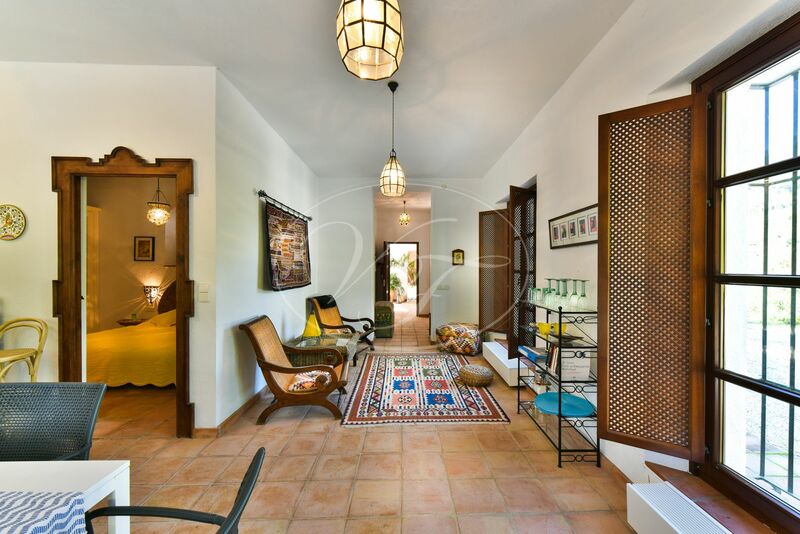 The second apartment (51m2) consists of a spacious living with open kitchen, one bedroom and bathroom, all on one floor. 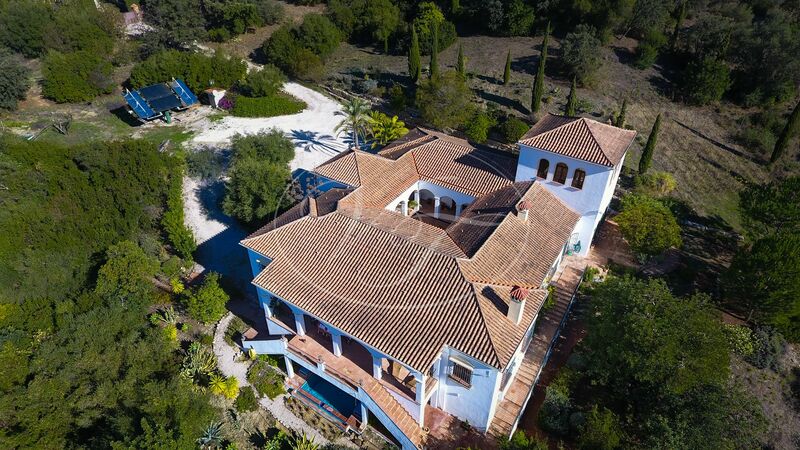 It would be possible to interconnect the apartments with the main house to create one large villa. 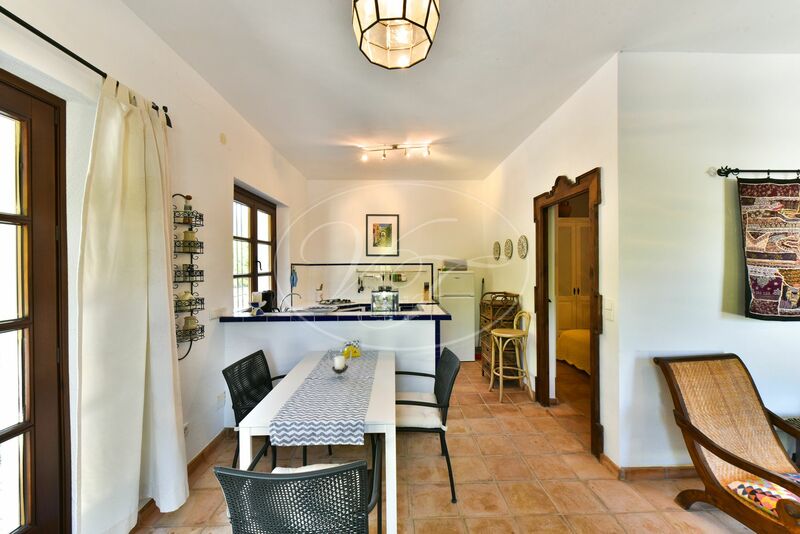 Furthermore, the property has a double garage and a large machinery and storage room in the basement (123m2). 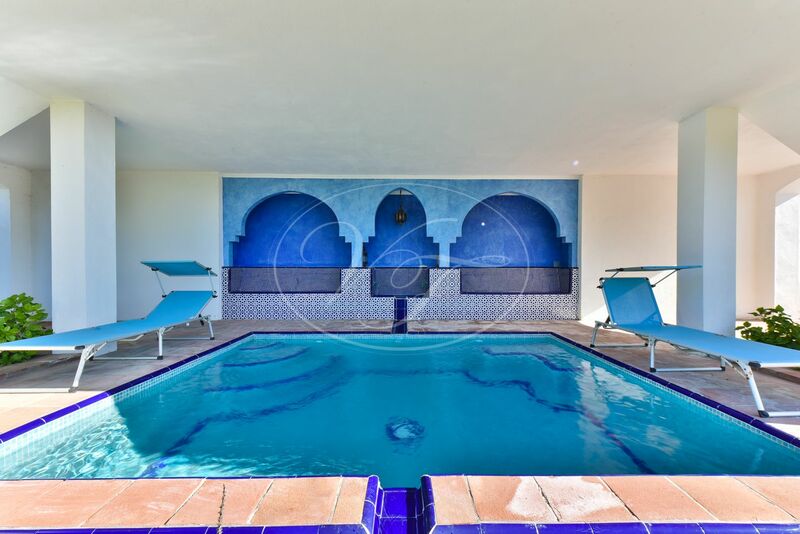 There is a Moorish styled swimming pool (approximately. 3,5m x 4,5m) on the ground floor. 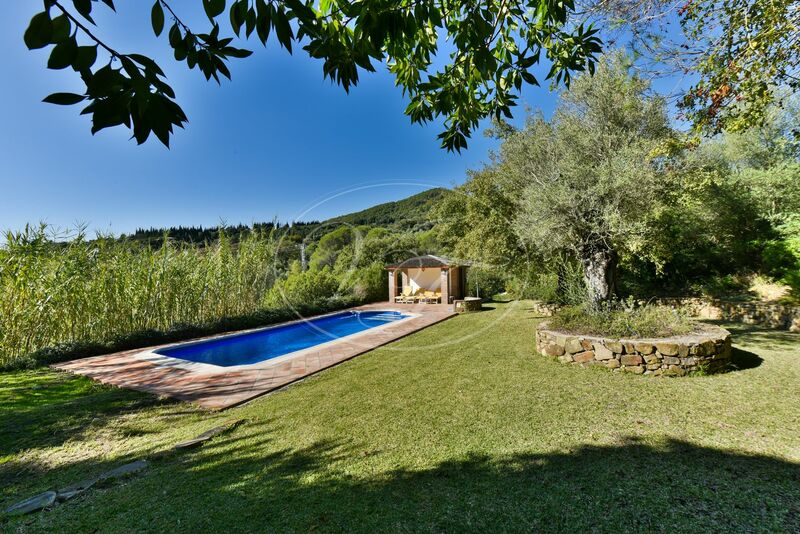 A stroll through the garden leads to a large pool (4m x 10m). 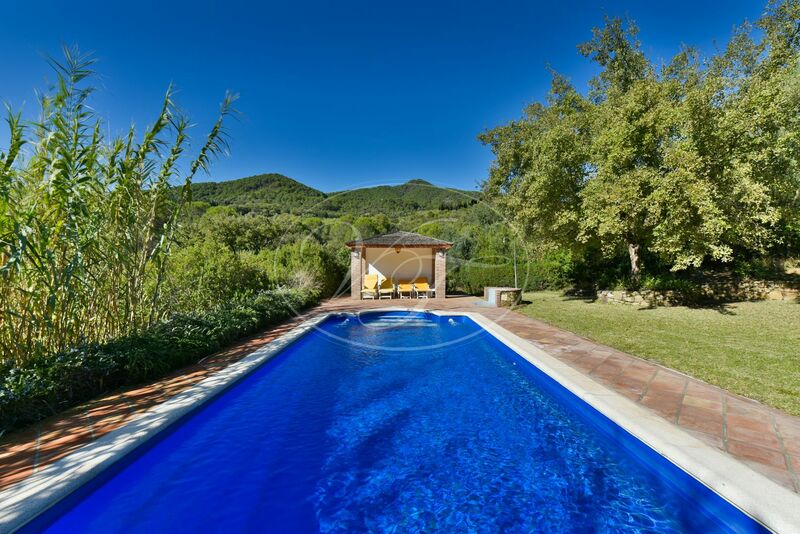 There is a pool house with toilet and ample place for sunbathing. 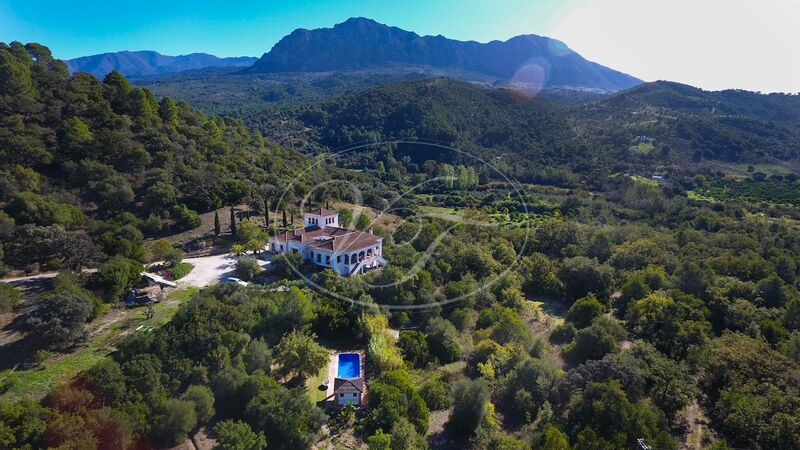 The extensive plot has old olive trees, carob trees and holm oaks. Most of the finca is fenced and has an automatic entrance gate. 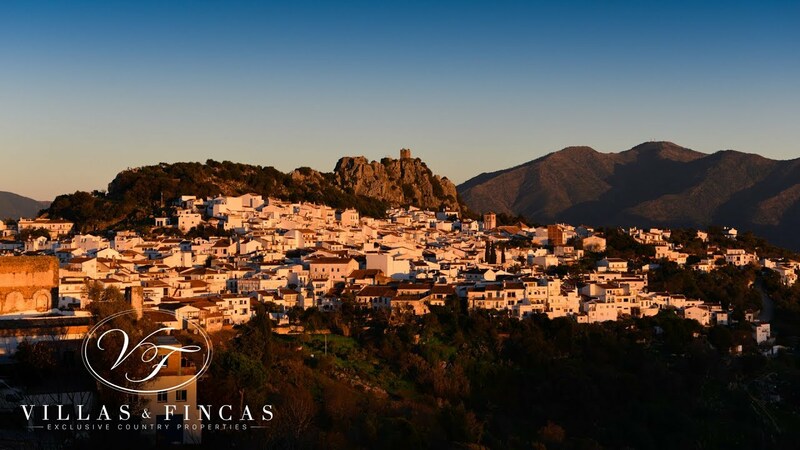 The real surface of the land exceeds the official registered m2 and has a topographical plan which mentions 50.318 m2. There is a large flat area near the river with old forest. 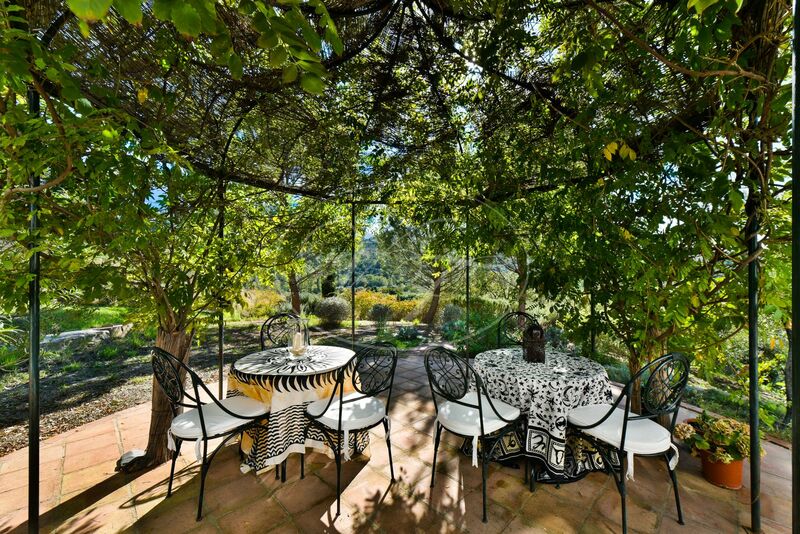 The garden has a small vineyard, (Cabernet Sauvignon and tempranillo) and an ecological vegetable garden. The house has own water supply by a well near the river, this well gives a large supply of water, all year around. 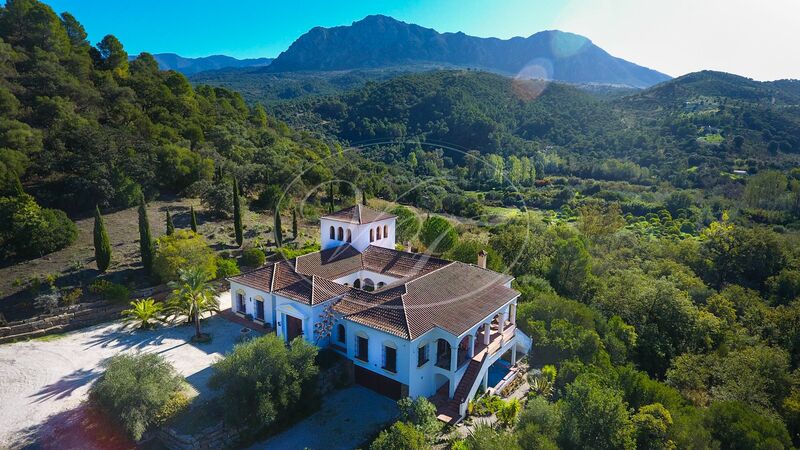 Separate 20.000-litre water deposit, mains electricity supply, solar panels providing hot water for the central heating. Gas back-up. 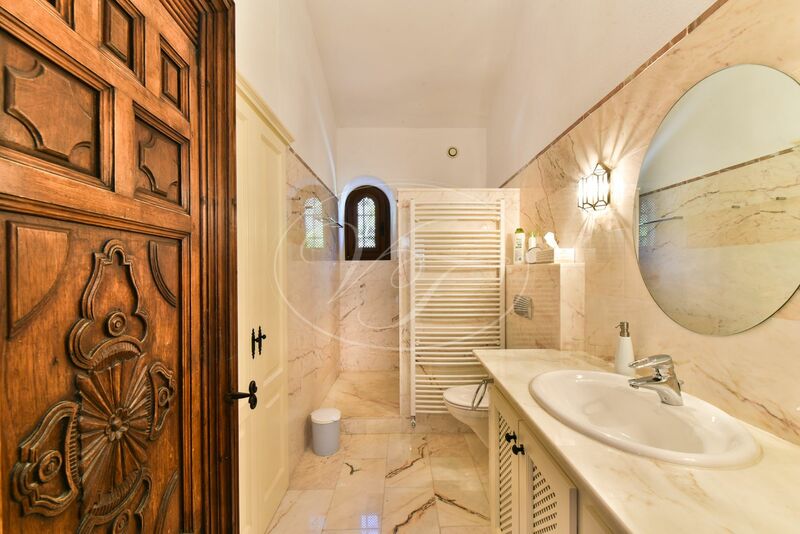 The house has been built to a German standard. 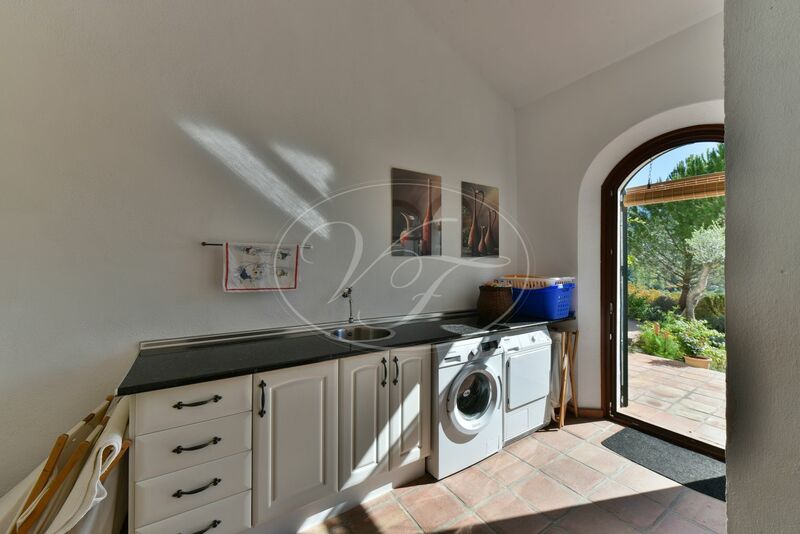 Double glazing, extra insulated roof and walls, antique doors, Satellite, Internet and telephone connection (Iberbanda), The villa is accessed by a good gravel road, 3 minutes from the main road to Gaucin. 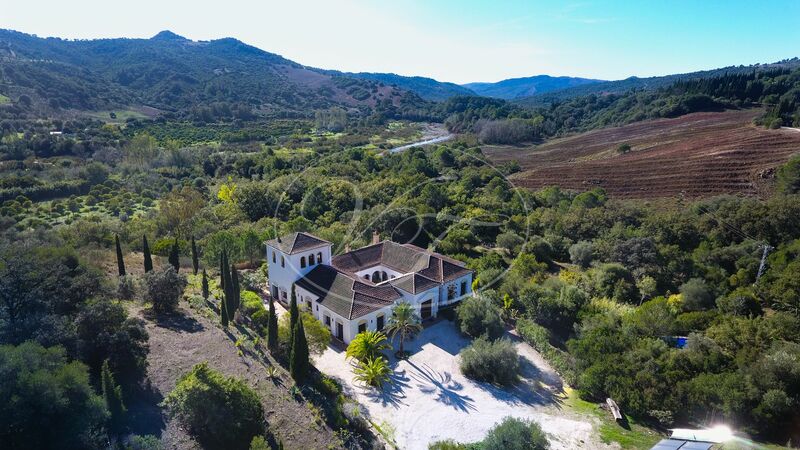 The area contains some more luxury country estates. Gaucin is at a 7-minute drive. 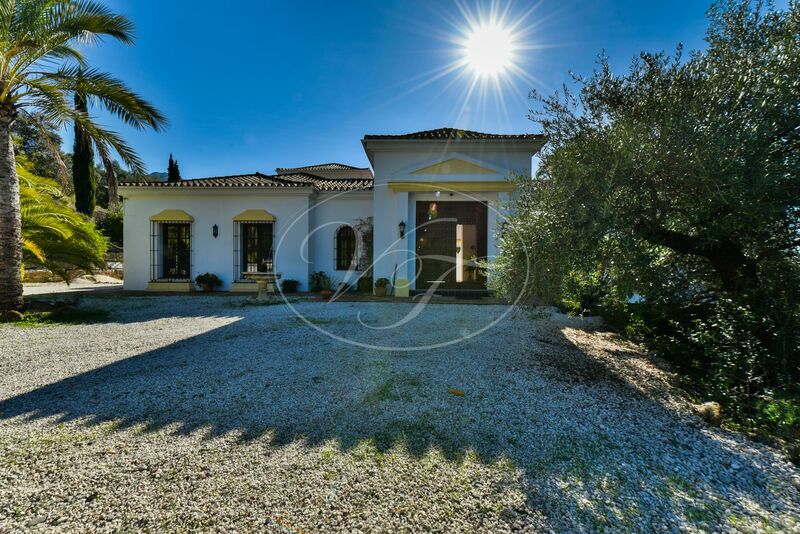 At a 30 minutes drive from the Costa del Sol and the beaches. 20 minutes to the toll road access. 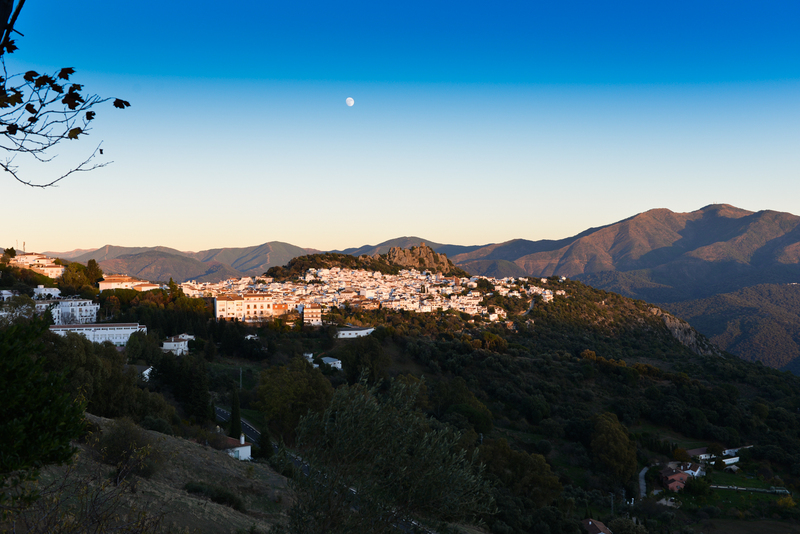 Málaga airport is at 1hour 20 minutes, Gibraltar airport at 1 hour. 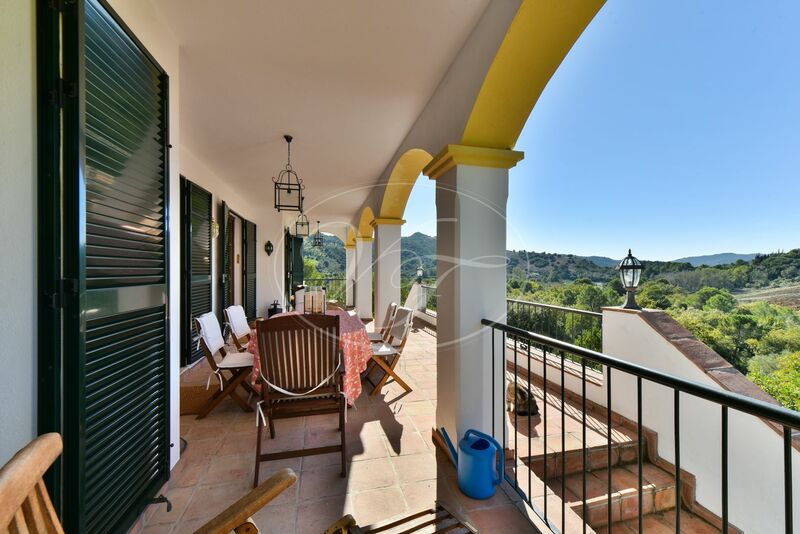 Please, send more information about ref 186-00355P, Country House in Gaucin or similar properties.